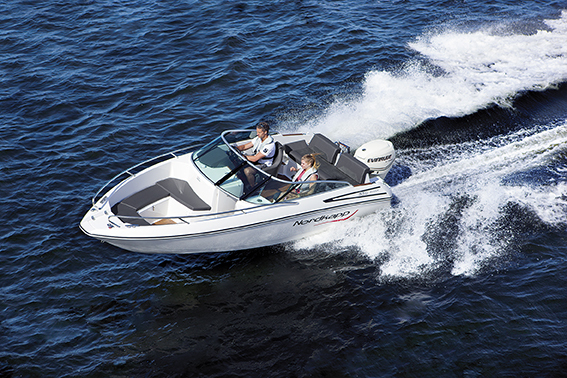 Children love the sea, and in an Avant 550 they are both safe and dry. 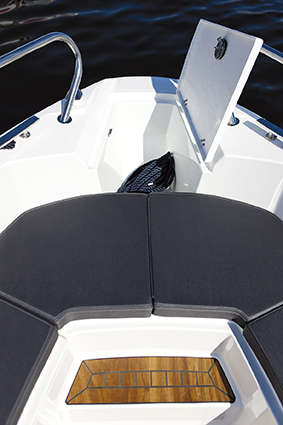 In fact the Bowrider has a full-width windscreen. That is why it does not matter much whether you sit at the windscreen, or on the stern bench – you are always dry, regardless. 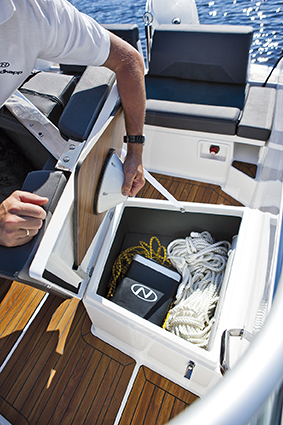 The space in the Avant 550 is extremely well utilized, and you will quickly appreciate details like integrated fender holders, and a number of smart compartments, and hatches. 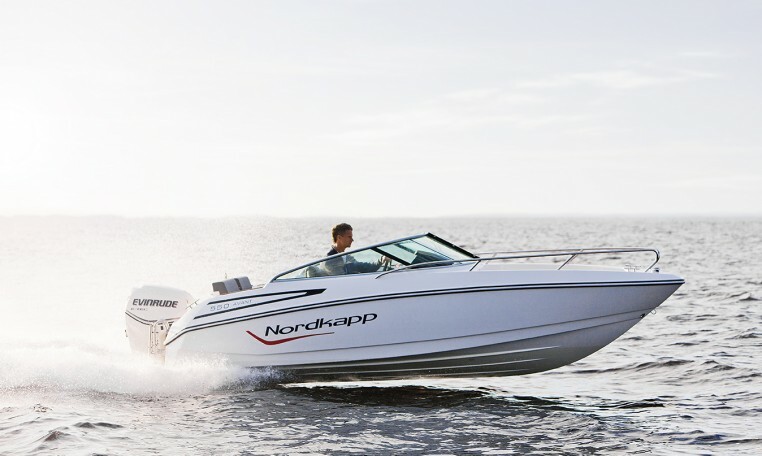 The design of the Avant 550 is known by the new design lines of Nordkapp. 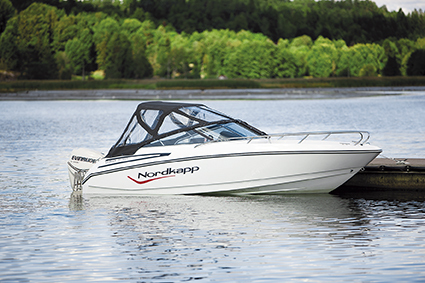 The boat is not only a practical family boat, but a sporty, functional water sports boat, too. With additional equipment like cooler and canopy, this model covers most needs of a small family. Safety. Many people prefer the possibility of closing the door to the bow. The cockpit will then be like in a daycruiser, and everybody will be well protected behind the windscreen. On long tours, or during high speed driving it is easier to keep control with all aboard. 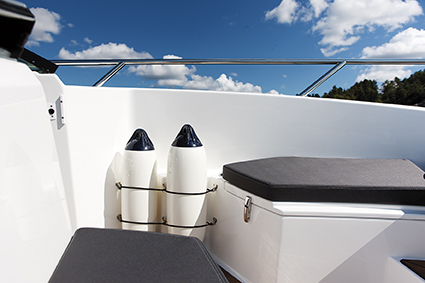 The boat has also integrated buoyance devices which make it unsinkable. Canopy Garage. 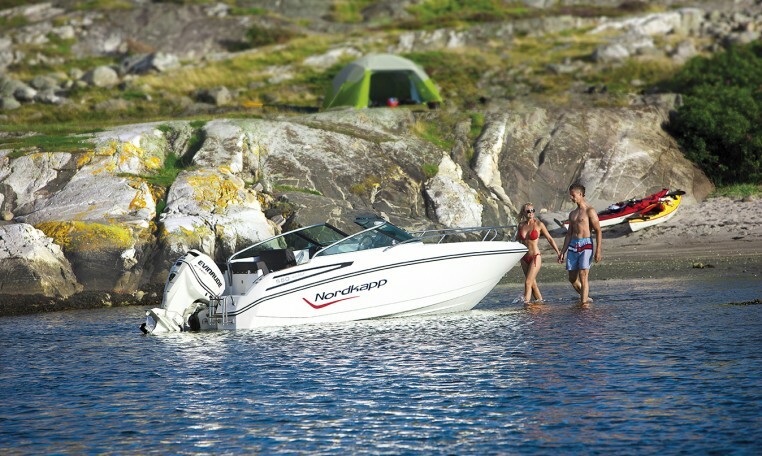 In a small boat the space utilization is very important. 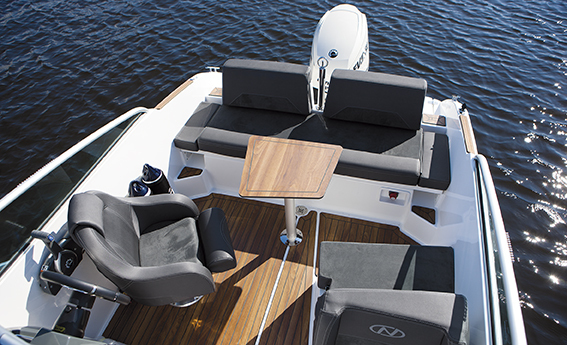 The Avant 550 has a great canopy solution where the whole canopy is put down into the aft bench, and is completely hidden when not in use. It is always at hand, but will not be in the way when it is not in use. Smart details. The boat is full of smart innovative details. One thing to be mentioned is the storage place for the cockpit table when it is not in use. It has its own place under the lid of the passenger seat. So it does not take any other storage place, and you do not have to look for it when you need it.